“Steve and Me” is the convergence of pop art by the late Steve Kaufman with reflection art photography by Nik Pichler. This project was the result of teamwork by Diana Vachier, Alberto Panizzoli, and additional supporters from the U.S. east coast, west coast, and Europe. The exhibition will be held from March 6-14, 2015 at Studio am Naschmarkt in Vienna, Austria. For more information, please visit http://www.americanpopartinc.com/steve-and-me. 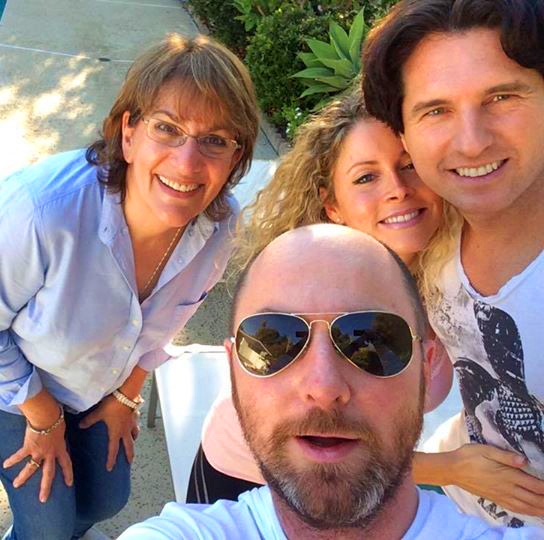 Photo: Diana Vachier, Nik Pichler, Eva-Maria Bachmaier, and Alberto Panizzoli in Los Angeles.